There’s no doubt that we’ve all dreamed of flying objects with only a flick of our wrist while saying those magical words, wingardium leviosa. Well, it is going to be a reality quite soon. Harry Potter fans, you should be ready to flip out because you’ll be inducted into Hogwarts via an upcoming role-playing mobile game. It will make its official debut sometime later in 2018. As announced today, Harry Potter: Hogwarts Mystery will be a role-playing mobile game that will enable you to finally live the magical life you’ve always wanted. You’ll not only be able to create your own characters, who’ll be enrolled in the “Hogwarts School of Witchcraft and Wizardry,” but also be able to hone their skills by attending all the magical classes through year one to seven. All this adds to the simple fact that you’ll soon be able to train under some of the most iconic professors at Hogwarts. The announcement didn’t mention any specific names, so we are in the dark about the fact whether Harry, Hermonie, Ron, Dumbledore or other popular characters would be present in the game. We, however, know that you will be able to attend Defense Against Dark Arts and Potion classes. There is also the mention of a dueling club feature that’ll enable wizards to battle against one another. This first-ever Harry Potter RPG game is being developed by Jam City, in partnership with Warner Bros. Interactive Entertainment. The former attained a license to create the wizarding world from scratch, while providing users with an experience that fans have already experienced on the big screen. The developer is keeping mum on the details of the game for now but we should learn more in the pre-registration phase of the game title. 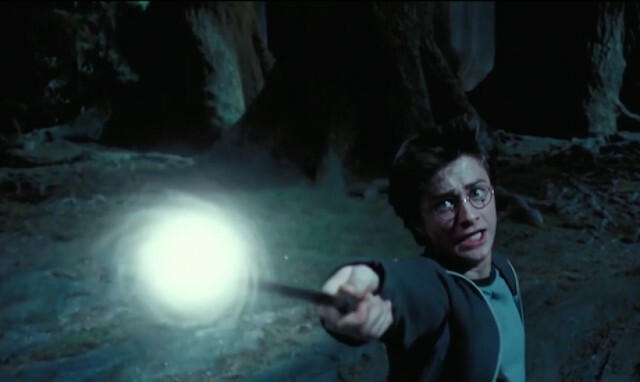 In addition, you must have already heard that Niantic Inc, the developer behind AR gaming phenomenon Pokemon GO is also working on a Harry Potter-themed AR title. While Warner wants you to experience the life of a Hogwarts student, Niantic intends to bring the magical world to real-life with Harry Potter: Wizards Unite. We’re also unaware of the specifics of this game, but it would allow you to learn spells and team up with wizard friends to fight powerful beasts while discovering your neighborhood. The launch window for Harry Potter: Hogwarts Mystery RPG game is quite vague, meaning it could arrive as early as June or land as late as Christmas of next year. The game title will be made available for iOS and Android devices in 2018, but you can pre-register right here to learn more about the development. I’m really excited to fill in the shoes of Harry Potter himself. What about you? Are you as excited to return to the wizarding world as me? Let us know in the comments down below.